Boulder’s Open Space and Mountain Parks division is working to acquire a massive plot of land just east of 95th Street near Gunbarrel, on the property that’s long operated as Boulder Valley Farm. 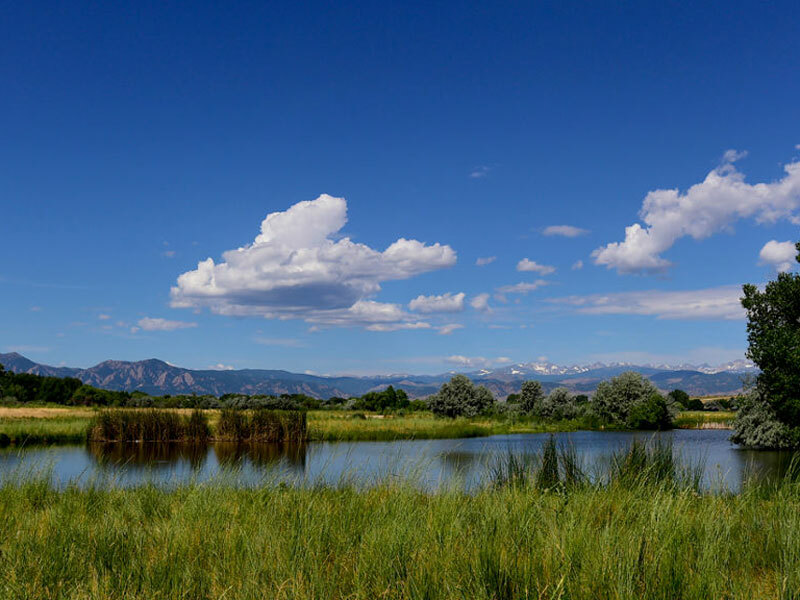 With a price tag of $9.5 million and an area of 615 acres, the acquisition would be one of the largest in Boulder history, both in terms of cost and space; only three city open-space properties cost more, and only five are as big. It’s the largest plot that the city has identified as a possible addition to the 45,000-acre Open Space and Mountain Parks network. It would also become the easternmost section of that network, if acquired. “The opportunity to work on a piece so large is rare and exciting at the same time,” said Dan Burke, a city real estate supervisor. Should the purchase go through, the city would acquire a 1.5-mile stretch of Boulder Creek frontage — by far the longest remaining privately-owned segment within the city’s growth boundary of what is currently the longest stretch of privately-owned Boulder Creek frontage. Also on the property are eight different ponds ranging in size from 1 to 10 acres. There are fish in those ponds, and a rich diversity of wildlife in general on the site. Among the animals found there are bald eagles, deer, foxes, coyotes, ospreys, owls and hawks. There are many herons there, too, as the site was once the largest heron rookery in the state. The land comes with other existing benefits, including well-maintained historic structures — some of which date back more than a century. There’s also a large network of informal ranch roads — many of which could be primed for fairly simple conversion for trail usage.The city’s purchase, if it happens, is still a few months away. But if and when it’s completed, the city will then spend the next 18 months, give or take, examining the parcel’s potential.